Target is replacing Staples at 4165 Washington Street soon. They are holding a community meeting tonight, Thursday, May 18, 2017 at 7pm at the Roslindale Community Center, 6 Cummins Highway. 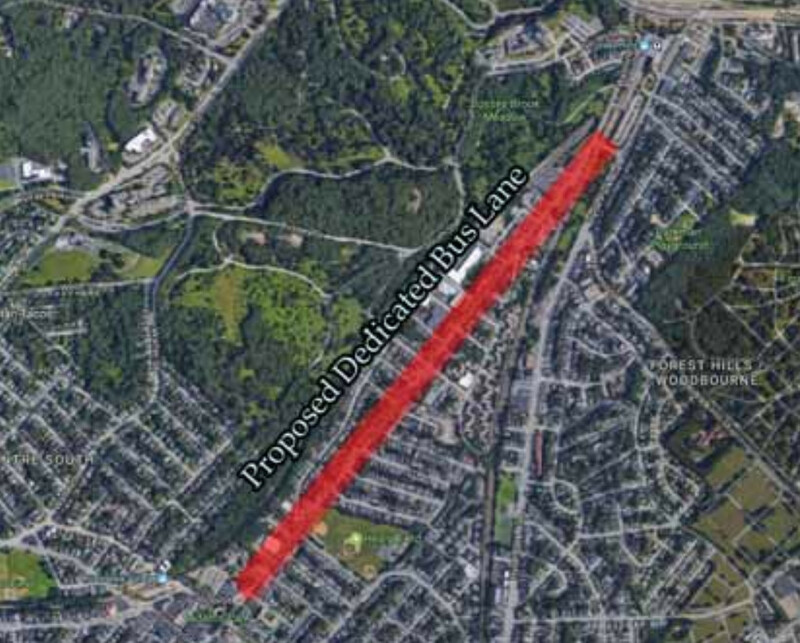 While the new lease may be a done deal, there is still an opportunity to use this changeover to urge badly-needed walkability improvements in this part of the neighborhood. One likely concern of residents will be increased traffic on an already congested block; the best way to mitigate this impact is to make it easier for people who prefer to walk or bike to Target to do so. 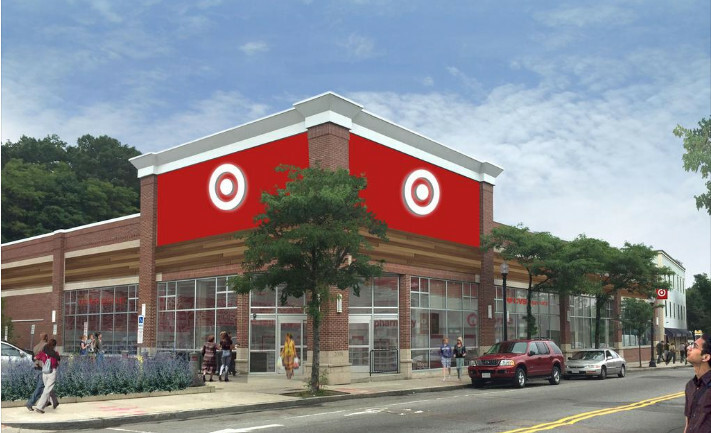 We at WalkUP Roslindale brainstormed a quick list of ideas that Target should implement to make the new store a net positive for the neighborhood. These initial thoughts are below, but please add other ideas in the comments or show up tonight and speak up for walkability! 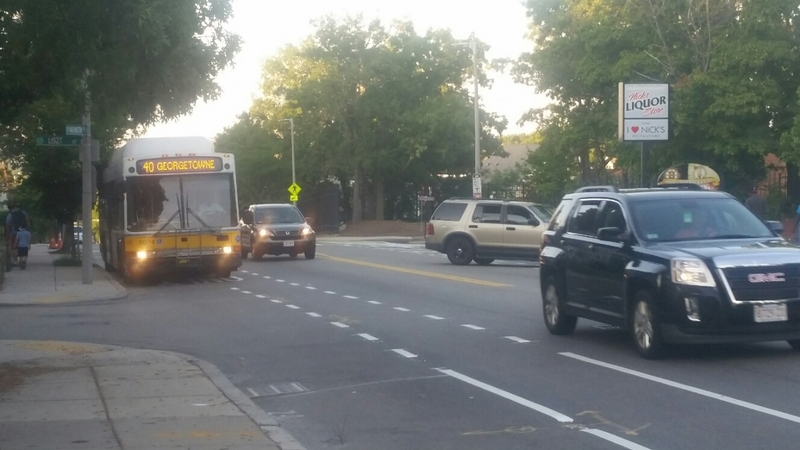 pedestrian hit by a car in intersection of Firth & Washington in Roslindale- she was on the ground but alert- tons of traffic. 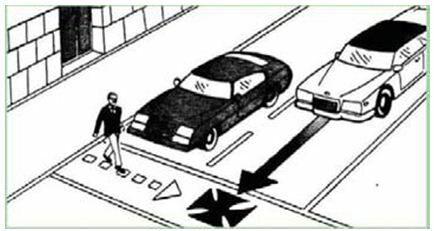 While the City has a formal action response plan for any pedestrian incident involving a fatality, non-fatal incidents don’t necessarily result in anything more than a statistic. Yet these non-fatal incidents are often equally indicative of poor road design creating dangerous conditions. The important thing to remember is most of these incidents are preventable and not merely the result of poor judgment by a driver (or pedestrian). Cities that take Vision Zero seriously have seen dramatic results–in Sweden, pedestrian fatalities have dropped 50% in the past five years; we’ve also seen a 43% reduction in traffic fatalities in Minnesota, a 48% reduction in Utah, and a 40% decrease in Washington State (source: Vision Zero: Learning from Sweden’s Successes). 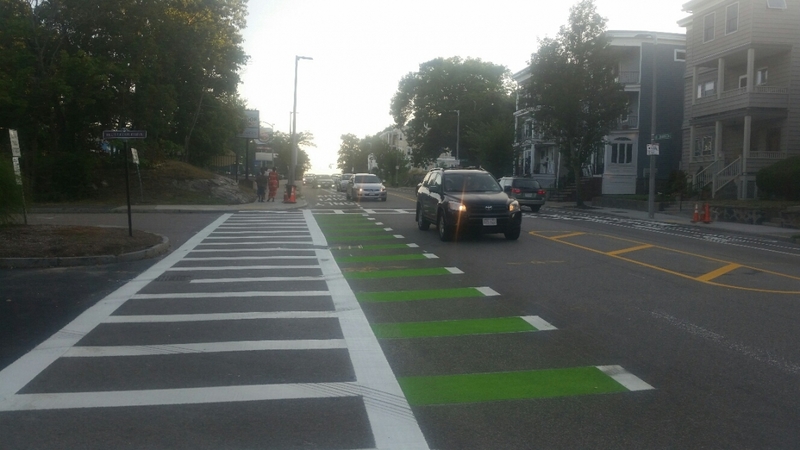 Thus far, the City of Boston’s Vision Zero aspirational plan hits all the right notes, but we’ve yet to see real changes “on the ground.” These recent incidents in Roslindale are powerful reminders that immediate action is urgently needed. We wish the victim of the latest incident a quick recovery. If anyone has more details, please leave them in the comments here. 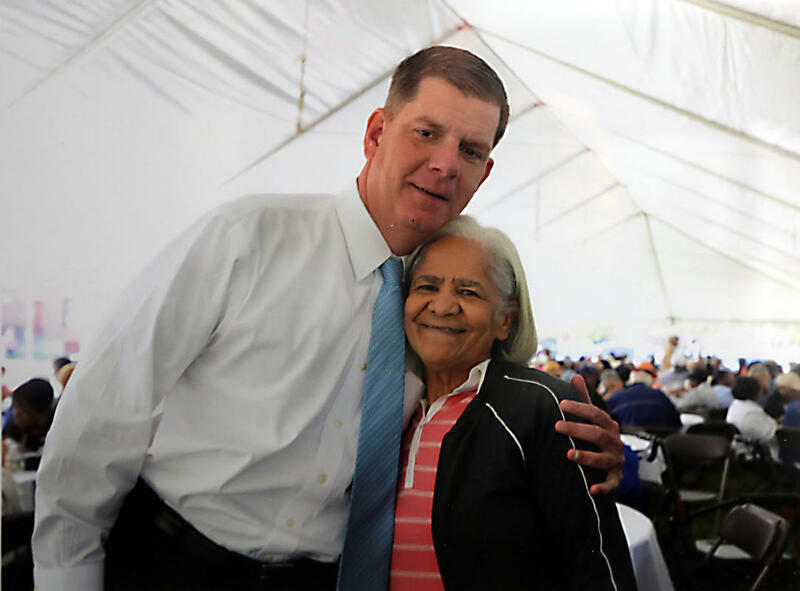 Our deepest sympathies go out to the family of Silvia Acosta, a 78 year-old resident of our neighborhood who was tragically struck and killed by a motor vehicle on Washington Street on Tuesday afternoon. 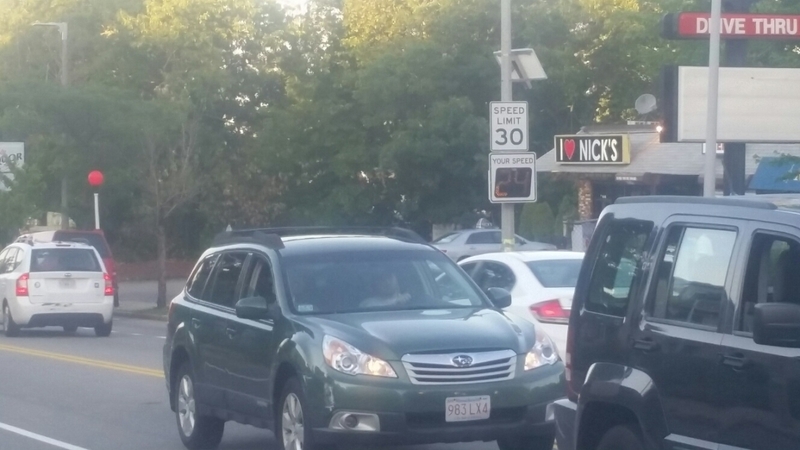 Universal Hub has the most complete coverage so far of the crash, which occurred in the section of Washington Street between Walworth and the West Roxbury Parkway. The Herald also has a report. What’s being reported so far is that the crash happened in the late afternoon (shortly after dark) and that Ms. Acosta was in a crosswalk when she was struck. It is noteworthy that the Suffolk DA’s office is charging the driver, who reportedly left the scene even though she later admitted she knew she had struck someone, with vehicular homicide by reckless operation as well. 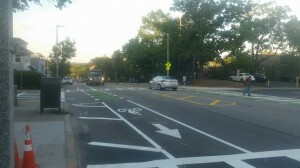 While it is important that individual drivers be held accountable for their actions, it is usually the case that larger design, infrastructure, and policy decisions play a significant role in these sorts of tragedies, demonstrating (unfortunately) how badly needed a vigorous VisionZero policy and set of actions in our city really are. 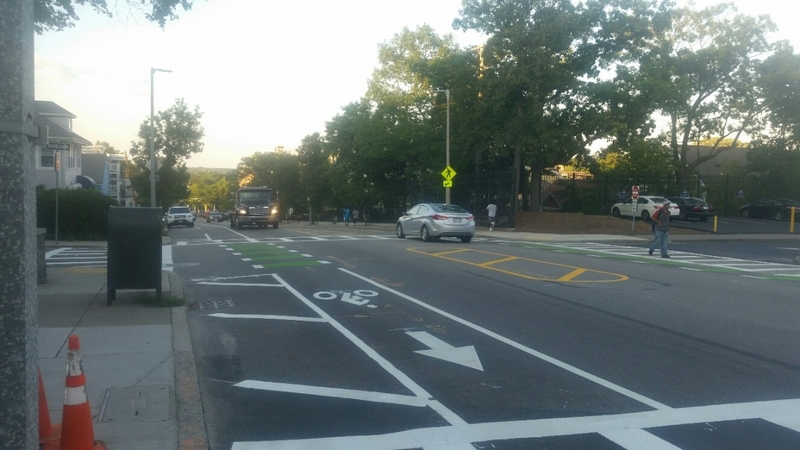 We’ll follow this story as it unfolds further to see what exactly happened, what lessons can be learned, and what steps can and should be taken going forward to prevent pedestrian deaths around the location of the crash and throughout our neighborhood. And then we’ll do what we can to make sure those steps are taken. Stay tuned.